Is The First Amendment Being Used To Persecute Christians? R.J. Rushdoony: 00:01 Is the first amendment being used to persecute Christians? This is R.J. Rushdoony with a report on our threatened freedom. On hundreds of state college and university campuses across the country, there is a major threat facing campus religious ministries which are Christian. R.J. Rushdoony: 00:17 In two federal district courts, judges rule that state universities may not allow such religious use of their facilities. In one piece it was ruled that the Christian student group could use campus facilities for a non-religious party or for religious use only twice in a quarter on application and on payment of rent. R.J. Rushdoony: 00:38 One person remarked, It’s almost as if we pay rent if we use the word God, but if we add the word Damn, it’s free. R.J. Rushdoony: 00:45 In other cases, public high schools excepted non-Christian student groups from meeting on the premises during lunchtime, after school, or at any time. In other words, if your religion is atheism or humanism, you can use school or university facilities, but not if you are a Christian. All this is done in the name of the first amendment and the separation of church and state, but this is not all. R.J. Rushdoony: 01:10 When in California, Christians organized as Californians for Biblical Morality. One newspaper called this a violation of the first amendment. In other words, it is all right for homosexuals and prostitutes to organize for legal action. But Christians should be forbidden to attempt to influence politics. The plain implication of all this is that anybody can have all the freedom he wants and use public buildings also, provided he is not a Christian. R.J. Rushdoony: 01:38 In the name of the first amendment, freedom is being denied to Christians. Why should campus Marxists, atheists, humanists, and homosexuals have freedom, but not the Christian students? What kind of judges are we appointing to the bench who can use the first amendment to deny freedom to Christians? Years ago, someone said fascism would come to the United States in the name of fighting fascism to save freedom. 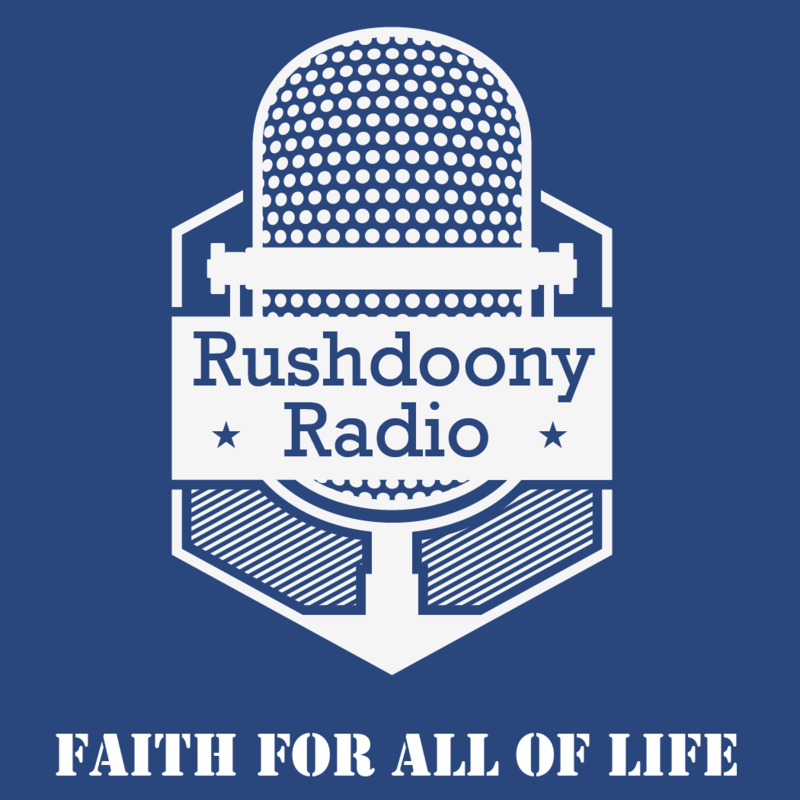 R.J. Rushdoony: 02:02 I was reminded of that when I learned that someone who wants freedom denied to Christian groups had insisted that he is thereby fighting fascism. The days of freedom are numbered in the United States if such things continue. And continue they will, as long as most people are indifferent to the growth of bigger and bigger civil government and the decline of our freedom. R.J. Rushdoony: 02:26 Are we any better off today for having constant traded so much sadist power in Washington D.C. and the state capital? Unless we begin to change things, we will before long be no more than slaves of the state.